Last week we shared our tips for developing yourself and your team following reading a great book, Legacy by James Kerr all about how the All Blacks became one of the world’s most successful sporting teams! We were quite excited that much of what we read is how Pro-Development approach individual and team development. This week, in part 2, we focus on the steps that leadership teams need to take to engage your teams and ensure they help them to be their most productive and become a winning team. The need for a strategy for change is crucial. The ability to adapt to the environment and not just accept what is, sets your business and leaders apart from the rest. But then, taking people with you on the journey providing a clear sense of purpose, vision and values and deliberately handing over responsibility will create an engaged team who are able to adapt to the change around them. Do you have an inspiring purpose, vision and values? Is everyone in your team connected to this? 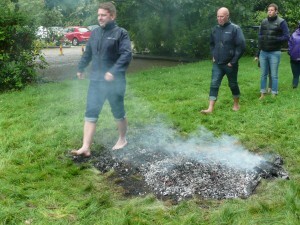 Successful teams create a learning environment where people are encouraged to take risks and try things out. This is what empowers people to give their very best every day. The key is to support your teams to have honest and healthy conversations with each other and you. Do you empower people and support risk taking? Are your teams sharing feedback and helping each other to develop? What rituals do you have? What’s your Haka?? Our approach to employee engagement help to establish if your vision and purpose are inspiring your teams and we can help you to understand if your environment and culture are bringing out the best in people. If you are interested in finding out more, why not come along to one of our monthly workshops on the 1st May or 18th June. Following a cheeky holiday at the start of the year, I had the opportunity to read a book I have been wanting to read for ages, and with the 6 Nations over the last few weeks, it felt timely to share some insights. 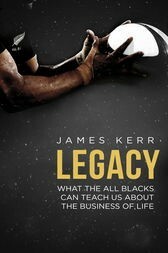 What I found most exciting about Legacy by James Kerr was how much of what we do at Pro-Development was reflected in how the All Blacks became one of the world’s most successful sporting teams! This week, in part 1, we share the areas that are all about developing yourself and your team and then next week, we focus on the steps that leadership teams need to take to engage your teams. The key to great leaders and teams is knowing yourself, well. Having a strong sense of identify and respect for yourself creates great character and a level of authenticity that inspires others! Do you and your team really know yourselves? Are you all authentic and inspiring to each other? Then, all of you, aim high! Aspire to world class and be ambitious. Inspiring leaders and teams help each other to achieve things you didn’t even think were possible. But also, embrace the fear of failure – it’s not always a bad thing and use this to positive affect. Are you all supporting each other to aim high? Do you talk about this in 1:1s and team meetings? What gets in the way for many teams is a lack of resilience when things do get tough. Prepare yourself and your teams to be emotionally resilient. Make a long-term commitment to develop and train your teams to win. Give people the tools to control their attention and help them to notice the right things by being in the moment (mindfulness). Do you find your teams crumble under pressure? Are you developing emotional resilience? Our approach to our coaching and leadership programmes, are all based on these leadership lessons. If these have resonated with you, then call us and we would be happy to discuss how we could help. 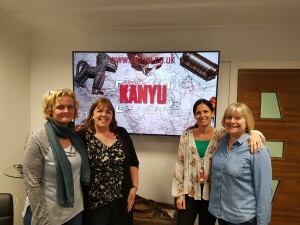 We were asked to speak at a CIPD event last month on employee engagement, a topic very close to our hearts and something of which we are truly passionate about. But let’s face it, this isn’t a new area and as someone pointed out, it’s something we’ve been talking about for over a decade. Their question was “why is engagement not improving?”. Great question, and one which raised a great discussion within the group. Some of the thoughts from the group were that business owners and leaders do not have enough time to focus on this. They are too busy and not making time. Others, that business leaders do not see the importance and are more focussed on the bottom line of the business. One HR professional shared that he felt the issue was down to HR not challenging business leaders enough. That HR are often been asked to undertake and implement changes which were not in the interest of people and that without challenging this more, the problem is magnified. Our thoughts from what we are finding discussing this topic, is that it is a mindset shift. The key is to help businesses understand the positive impact such an investment will have on both people and the bottom line. 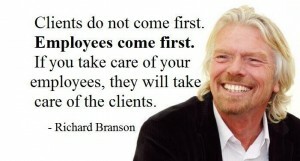 And that is the key, thinking of engagement as an investment not a cost. With the cost of replacing talent now being equated to 12-18 months of a person’s salary, an investment into employee engagement will often be a fraction of this and is something that will positively impact on everyone. So, if you would like to know more about employee engagement, why not come along to one of our events on the 1st May or 18th June or click here to read more about our approach to employee engagement. “How does it feel to treat me like you do? 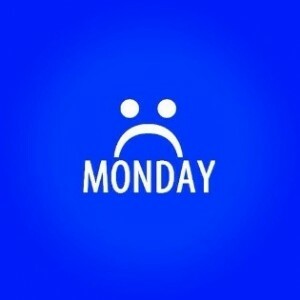 Yes, Blue Monday is here. 21st January, apparently is the most depressing day of the year! •	Wear your favourite item of work clothing, something that makes you feel good. •	Don’t forget to sing along! •	Go for a lunch time walk, notice the trees, the sounds that fill the air, feel the wind in your hair. •	Give colleagues some positive, authentic feedback. •	Go out for tea. A lot of restaurants have great deals on a Monday. •	Relax at home, note all the good things in your life. •	Have a bath with some of the body wash you undoubtedly got for Christmas. •	Spray your pillow with lavender scent and tuck yourself into bed for an early night. There, I think we’ve got you through it! If you would like to learn more about personal wellbeing, then get in touch to find out how we can help you develop in this area. For more info click here. Well here we go again! Resolutions set, however, the stats would tell us we are unlikely to succeed! Well not this year. Why not turn those resolutions into serious goals that you can smash! •	What has been your biggest learning in 2018? •	What are you going to do differently this year? •	What do you want to achieve in 2019? •	What do you want to be saying about your achievements in a years’ time? Once you have done that, it’s time to write down some goals. Make sure they are SMART though! •	Have I limited myself? •	What could get in my way? •	Am I excited by the goals? •	How can I make sure that I achieve my goals? O	Do you have regular team meetings? O	Do you have regular 1:1s? O	Do you read all your emails? O	Do you spend enough time thinking about your performance at work? O	Have you got a personal development plan? 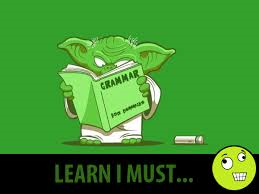 O	Are you working towards your career aspirations? O	Are you always honest? O	Have you delivered all the feedback you should this year? O	Do you spend time thinking about and offering positive feedback? O	Do you load the dishwasher? O	Is your desk tidy? O	Do you clean your food out of the fridge? O	Do you share your sweets? O	Do you play to your strengths? O	Do you make tea and coffee for people regularly? O	Do you find time to have fun at work? All the things listed above are real issues that have been raised in our Employee Engagement reviews this year? As you can see, some of these things are easy to put right, but only if you know about them in the first place. If you don’t know what the issues are in your workplace, maybe you could consider undertaking an Employee Engagement Review in your business. Click here for more. To find out which list you are on this year, tot up your score and see if you’re on the naughty or nice list for 2018. If you scored 5 or below you are on the “Naughty list”. 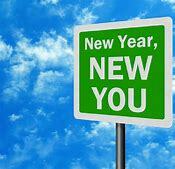 Why not make 2019 the year to be nicer to yourself and others? Think about some of the actions you can take and make a commitment that will make a difference. Ummm. Room for improvement. You need to look after yourself and your career a bit more. You’re not on the naughty list… well, not yet anyway! What can you do to improve you score before the big day? Well done you are on the ‘Nice list’. Keep up the good work! Are your Leaders and Managers hot to trot? Having the confidence and self-belief to face challenging and sometimes conflict situations in the work place is a common issue we find when we speak to the many managers we come across in our work. As a result, there is a lack of action and issues are left to fester. Often, the lack of action taken by managers in these situations is a source of frustration for many team members and has a detrimental impact on team morale and employee engagement. Interesting, we are seeing a theme at the moment as well around managers and leaders who are still getting too involved in the role they had before they were promoted and not making time for managing and leading their team. In a coaching session recently, one manager who was spending 90% of his time doing his old role said “but if I don’t do all this work, what would I be doing?” It can seem like a blank sheet to many people who have never led or managed a team before. We believe that giving managers theory, processes and tips to understand their role or deal with issues and challenges isn’t enough; a more holistic approach is needed to develop their confidence and belief in themselves as a person and as a leader and enable them to develop their own vision of what being an authentic and inspiring leader looks like. This is the approach we have taken on our Management Development Programme and we are seeing some amazing transformations; one person was even described as going from zero to hero. •	Do you have managers and leaders who know what do to do in challenging situations but are not stepping up? •	Do you have managers and leaders who avoid conflict situations? •	Do you have managers and leaders who seem to be too busy in the day job to manage their team? •	Are your managers and leaders holding back on some honest conversations? Based on our experience we believe a high percentage of those answers will be yes but let us know your thoughts on what you think gets in their way of dealing with the issues. 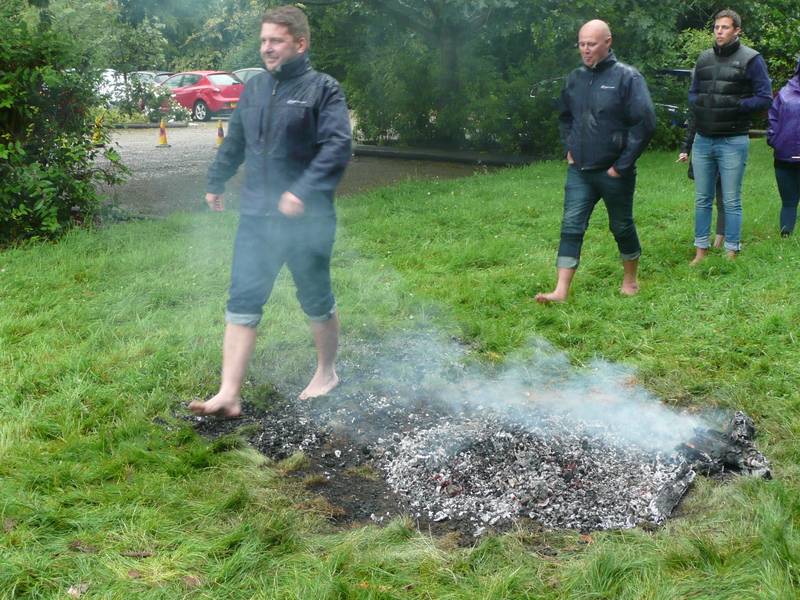 We also know our Management Development programme has equipped people with the confidence and belief to go on to be truly authentic and inspirational leaders who face challenges head on. If you think this is something your business would benefit from, click here to watch our video or contact us and we can talk you through the programme and the benefits of having a manager hot to trot! This month we have heard about Simon Cowell who has ditched his smart phone for 10 months…WOW! We say WOW because we are not sure we could do that, but the thought of it sounds fantastic. We wonder how many times a day we look at our phones? Even writing this blog we have glanced at it about ten times and touched it twice. If we ever can’t see our phone or fear that we have left it somewhere we go into a complete meltdown. Its quite a scary addiction, and we say addiction because we think we probably are addicted to it. Rest assured that it’s not just us. 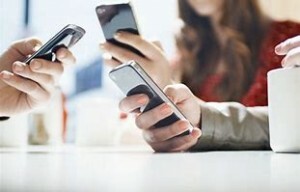 When we deliver training courses, we now ask people to turn their phones on to silent. Sometimes we ask people to agree a way of working together to get the most out of the training event, often the mobile phone is mentioned where people ask for agreement that they will remain off them for the duration of the course. Interestingly though, as soon as it is break time we see delegates rummaging in their bags looking for their phones taking calls and checking appointments. Are we really that critical to the business that a couple of hours without contact will cause a massive risk to the business? We think we all know the answer to that one! •	Ask someone to be your conscience and notice how often you check your phone during a work day. •	The next meeting you go to, turn your phone off or leave it ask your desk. •	When you get home tonight, turn your phone off until the next morning. •	Notice how you feel, being away from your phone.